Right before leaving for a holiday week in Malta, I got a message from Optic Nerve Engine, an electronic project from the main island’s smaller neighbour Gozo. By sharing new music, in a way they reminded me that the local scene is/was not limited to the electro artist Microlith aka Rhys Celeste, a talented youngster from the CPU Records roster who sadly passed away in a traffic accident two years ago. During my stay, I learned a bit more about local vibes while not giving a rest to a music collector in me. 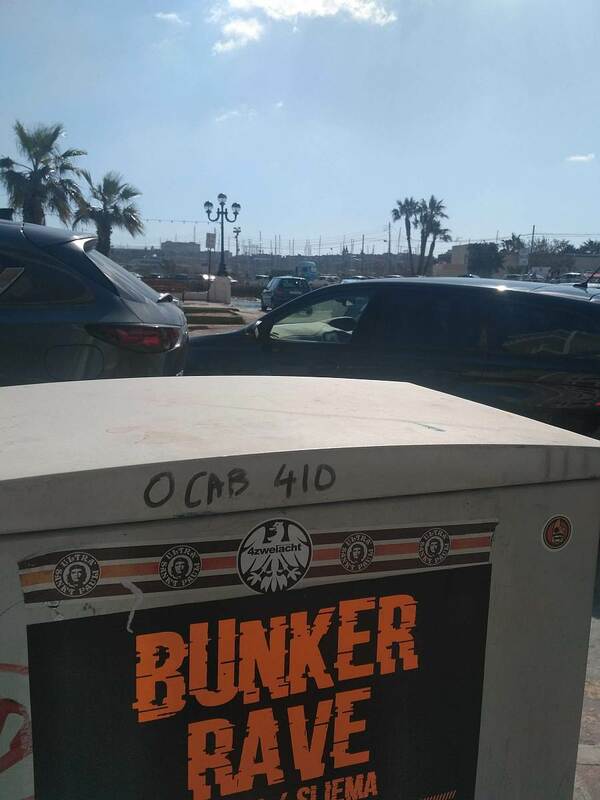 However the nightlife remained untouched, despite of a handful of posters at Sliema waterfront, inviting to Bunker Berlin rave on a Friday night. 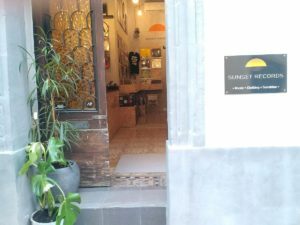 For crate diggers, Malta may not be the principal destination but the compact island offers a few nice shopping spots. First I headed to Solo Vinyl & Books, located on a quiet street in Msida, a town close to Gzira and Sliema (actually in Malta it’s complicated to tell where one town ends and another one begins). Solo Vinyl & Books is run by an Italian fellow who once started a shop in Milan and then moved to the Mediterranean island to offer subculture products made of paper, fabric, vinyl and other materials. 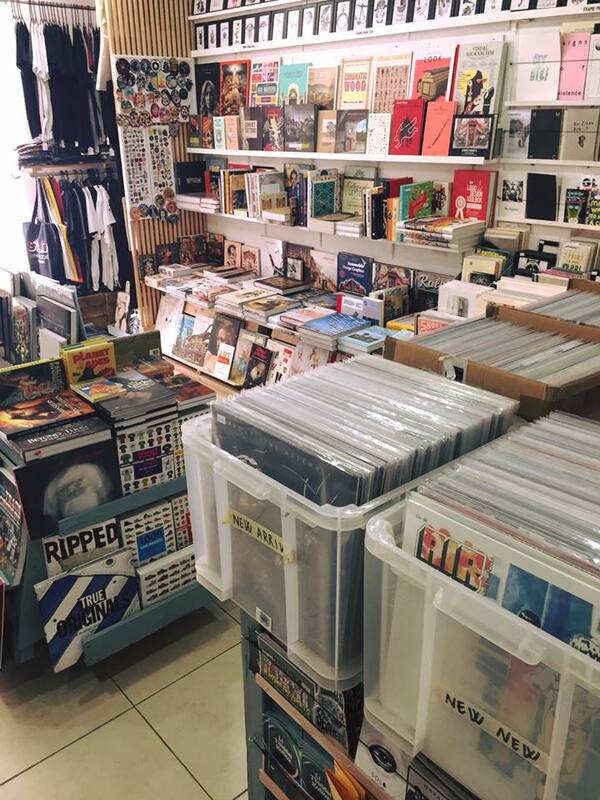 The owner told that maxis are not too much in demand in Malta and it shows in the vinyl department, mostly manned with albums. For (post-)punk, coldwave, as well as hip-hop and rock lovers there was much to discover and also the electronic section was reasonably stocked. Speaking of Maltese music, Robert Farrugia was a new name I learned, as his latest ambient album “Adrift” was available. Even when the shop didn’t have Massimo Toniutti’s 1991 opus, the owner introduced to me a few Italian experimental groups and finally I left with a 2015 album by Heroin In Tahiti, “Continuous Monument” being my favourite track there. Close to vibrant Sliema promenade lies Sunset Records, a tiny but well-stocked shop where you can find a variety of genres across the decades. Its selection spans from vintage rock albums, italo and disco singles to today’s electronics. In the techno crate, Ostgut and Klockworks were well represented and I also saw some M-Plant twelves, Elecktroids reissue and many more. “The Jericho Files” by Ancient Methods for €45 was displayed on the wall, hardly in stock anywhere else. However I didn’t succumb to Discogs shark instincts and missed an easy €30-profit for the record, leaving it to another true fan. But I picked up the third volume of Cultivated Electronics’ “From The Dark” series, featuring Morphology, Alpha 606, Silicon Scally and many others. My third spot was a surprising one, a charity ‘bazaar’ at a church in Gzira. Kind ladies were running a sale, mostly of used household goods, clothing, furniture, etc. On the 1st floor, it was possible to stock up with vintage encyclopaedias, children books and a lot of novels, which was an interesting section. On the ground floor they had an eclectic mix of records, ranging from a split seven-inch of Barbra Streisand and Donna Summer to Italian nursery disco. 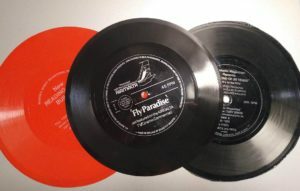 I picked up some flexi discs with spoken word shows and one with a song used for Air Malta’s commercial back in the days. For bedtime stories I got “The Haunted House” and the weirdest find was a disco and pop compilation praising Libyan Green Revolution. 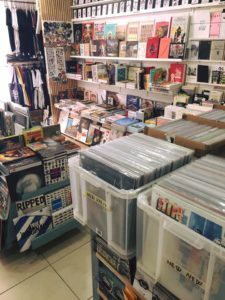 I went also to D’Amato Records in Valletta, allegedly the world’s oldest record shop – and it felt like this because of only a limited number of electronic releases. Second hand crates were not appealing either, both because of stock size and non-competitive pricing. 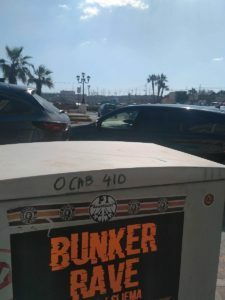 Still running a brick and mortar music shop deserves a praise in our days and I was happy to see them in Malta. And the country is a lovely place worth a visit, indeed.